Following an electrifying second place finish at the PGA Championship in August, today Tiger Woods won the Tour Championship. This was his first win in five years and the 80th PGA title in his legendary career. Woods now has the 2nd most PGA wins of all-time. He posed with his Rolex Deep Sea after the win, which is of course because he’s a Rolex ambassador. But that’s not the story. The story is the journey, from the top to the bottom, back to the top again. 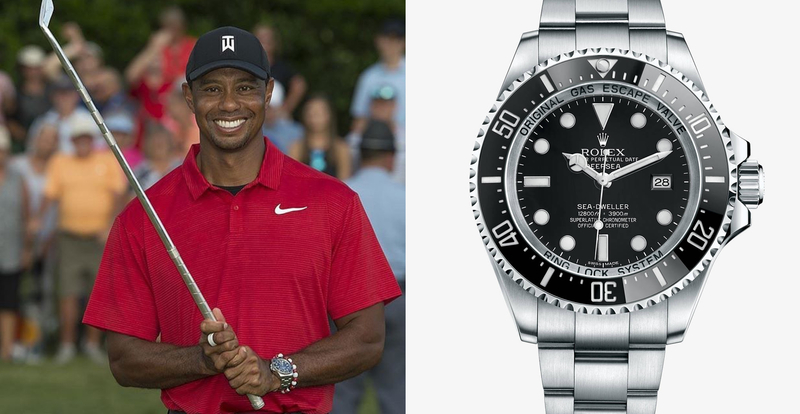 To think Rolex signing Tiger in 2011, despite the negativity associated with his widely publicized scandal, would ultimately payoff 7 years later in the form of major tour win that will surely only bolster sales at the world’s leading mechanical watch brand that much further. What foresight by Rolex. And what a comeback by Tiger. Everyone loves a good comeback story, and it does not get much bigger than this. To fall from the world’s #1 golfer to not even top 1,000, and then to work back to amongst the top golfers in the world, is incredible. Tiger’s thoughts after the win on the Golf Channel.